30 Days In September tells the story of innocence lost, of a young life traumatized by a gut wrenching experience that is sadly far too common in South Asian households and yet one that our society often refuses to even acknowledge. Come see a beautiful, compelling tale woven with poignancy and sensitivity in this must-see play. Please see our Exchanges and Cancellations Policy for tickets. Addi Ajmani, who plays the role of Mala, is extremely proud to be joining the cast of 30 Days in September. Addi is a Bay Area native and first dabbled in the performing arts through dance, performing in showcases. Soon after, at the age of 13, she expanded into theater - taking part in improv groups, local musicals, and renditions of classic plays, like Shakespeare. Addi was selected to be part of a 4-year performing arts dance and theater intensive diploma program. Upon completing the diploma program, her passion for the arts amplified and she wanted to continue in what she did best, storytelling. Addi expanded into film and currently studies at Film Acting Bay Area in Emeryville. She practices the art of mindfulness which keeps her aware and able to play in a wide range of context. When she's not performing, Addi loves to explore the world and people around her, hang with her dogs, and go to music festivals. Born and raised in India, Rashmi Rustagi has been a radio actor since the age of nine and continues to be an actor, writer and producer. As a fluent Hindi, Urdu and English speaker she has emceed many entertainment shows. 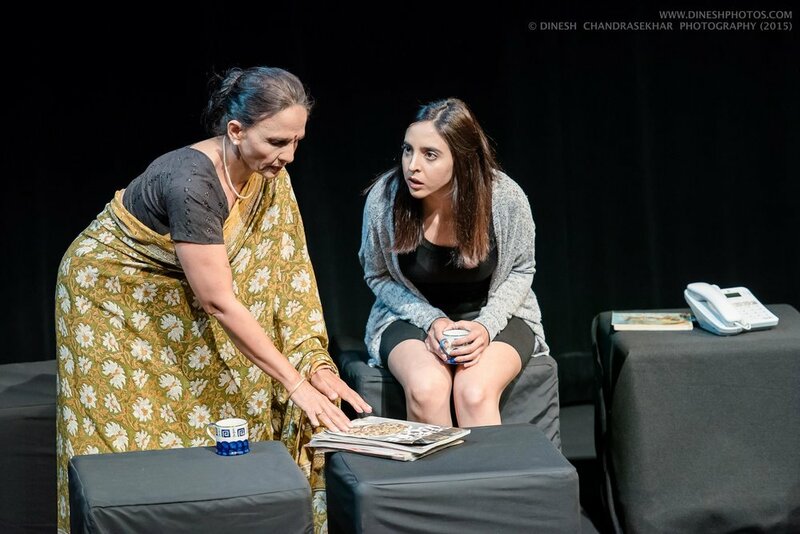 A passionate theatre actor, she has also worked in several feature and short films with local and Bollywood actors such as Boman Irani and Anupam Kher as well as Mark Ruffalo in 'The Avengers'. Rashmi is a passionate cook and writes a popular food blog with recipes and videos and teaches cooking classes. Dilip Ratnam's interest in theatre started during his college years. He has acted in English and Tamil plays with Art Lover's, a theatre group in Mumbai. In the Bay Area, he is a member of Krea Creations. He played the comical uncle in Thanimai which was very well received by audiences all over. He also played the key role of Duryodhana in the musical Yagnaseni by Madurai R Muralidharan in the Bay Area. He has done several supporting roles both on and off stage for several Bay Area productions. As a self-proclaimed movie buff, he loves to sing and dance to any beat, especially Bollywood music. Shiva Sankaran started doing theatre when he was in high-school. An active member of his school's theatre group, he had the opportunity to be trained by one of the finest and oldest theatre groups in India - The Madras Players. He believes that there is nothing like performing to a live audience and making them a part of the story. He returned to stage performance in the Bay Area with Swaram's Goldspot where he played one of the lead roles - Mangoor. Currently, other than BAD Company's 30 Days in September, he is playing the lead role in KREA' s Tamil drama - which was conceptualized by the legendary director, Late K. Balachander. An engineer by day, you will see him zooming past the mountains of California in his motorcycle or playing volleyball when he is not at work.